I thought I would join the crowd and make a post about Spring. 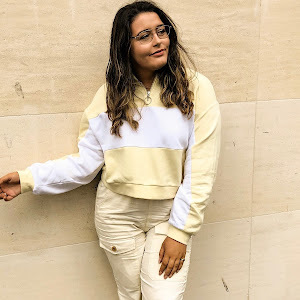 This post with contain some of my colour preferences, clothing, beauty items and more that I would chose to use or wear during this season. I can't wait for the weather to become warmer like it has recently! I love spring, as I feel like it acts as a beginning and 'warm up' to prepare for Summer! So...here we go! During this spring, I really want to venture into trying some pastel/coloured eyeliners. I only ever use a black or a brown, and really want to try some of the colours from the first picture. I absolutely love the colours and I saw Ingrid (MissGlamorazzi - an amazing american youtuber, go check her out) make the prettiest spring look using a coloured liner in her tutorial and I am so tempted to try it and hopefully work it. Also, beauty-wise, I love coral/bright pink blushes, especially when you can get them all in one in my fave blush palette ever by Sleek. This blush trio is called Lace and it is honestly amazing - if you haven't tried out Sleek blushes yet, you need to! Pink eyes are also really feminine and sweet to wear on the lid in Spring. 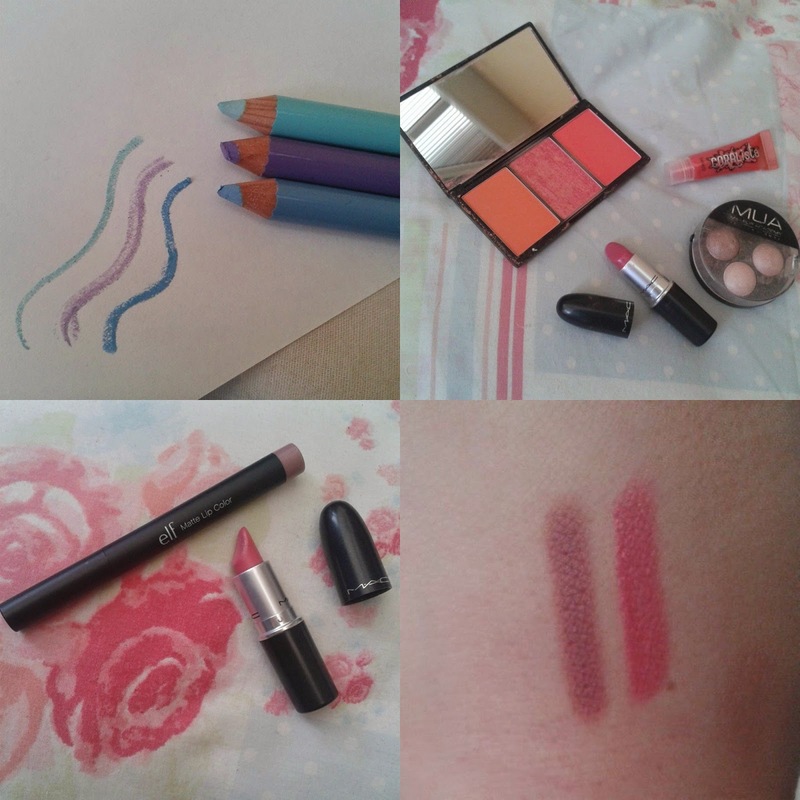 Lip products are another love of mine. I love changing my lip colours from winter to spring, as all the deep reds are replaced for bright pinks, corals and nudes. I love this coralista lipgloss from benefit! Finally, I am honestly IN LOVE with this lip combo at the minute. Every single day, I have been wearing E.L.F's matte lip cream in the colour 'Tea Rose' (which I mentioned in my previous post, go check it out) with Mac's beautiful lovelorn over the top. This lip combination is my absolute fave and the colour it gives is just..WOW. These next three items are not necessarily for spring but they are my recent loves and I just wanted to share them with you (hope that's okay). 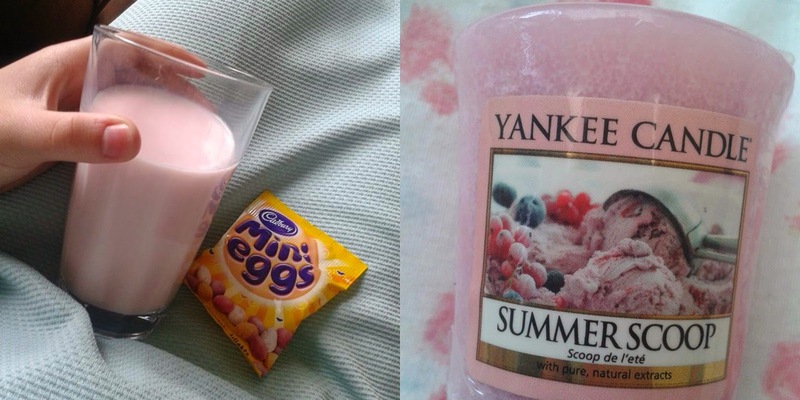 Strawberry milkshake and mini eggs are the food and drink to turn for every day. I have seen many youtubers, instagrammers, bloggers etc, raving like mad about mini eggs and they have got me addicted...oops. Despite the title of the yankee being 'SUMMER scoop' - I feel reaaaally stupid for putting it in this SPRING post. However, the smell is so sweet and fruity that I have been burning it regularly and is a lovely spring scent, as well as a summer one too. As I said previously in this post, I adore the colour mint green. 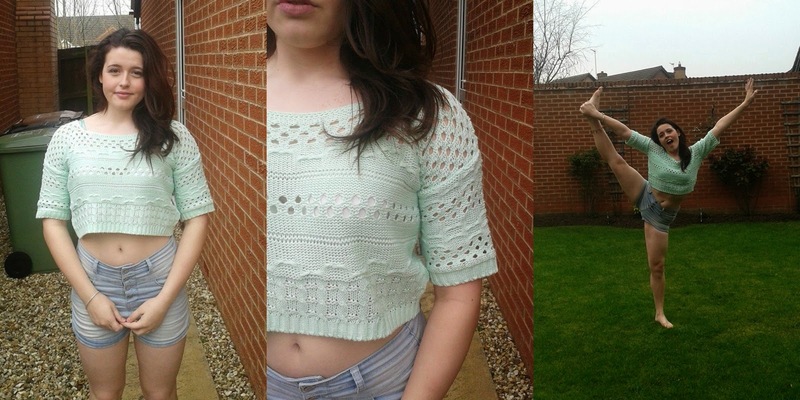 In these few random snippets my brother kindly took for me the other day, I am wearing this new crop mint green jumper. It is so cute and I paired it up with my favourite high waisted shorts. 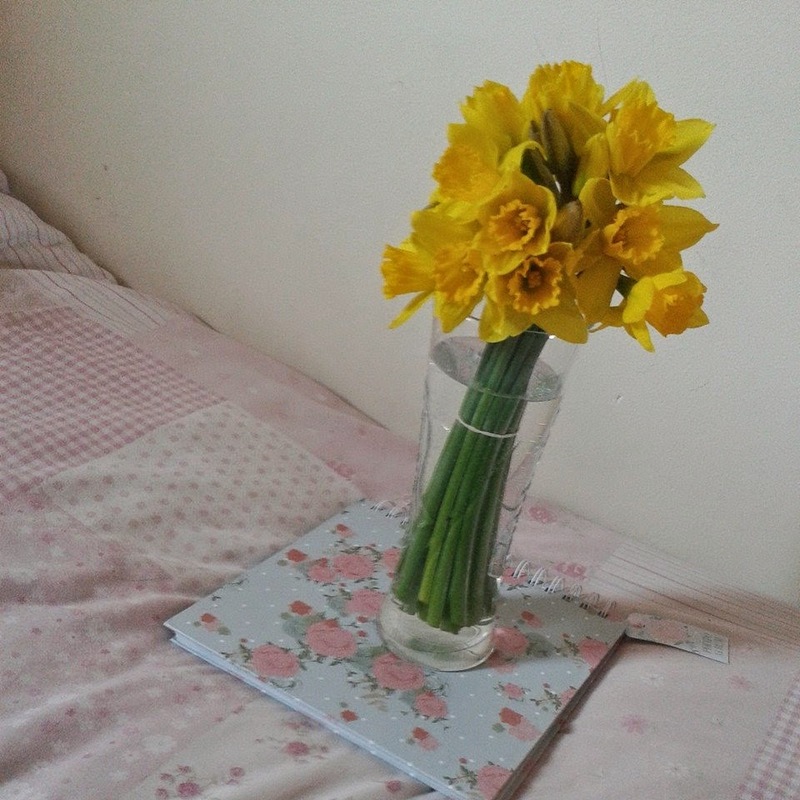 Daffodils look so pretty in Spring, I love having them to decorate my room; it makes it look brighter. 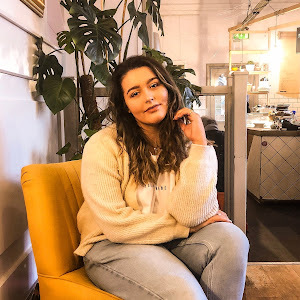 I hope you enjoyed this post about my spring essential/favourites. Not really sure what to call this really, I just hope that you liked it! Will be posting next on Thursday so make sure to either follow or look out for my next post. Comment what your spring favourites are and recommend what I should get to spice up my spring? 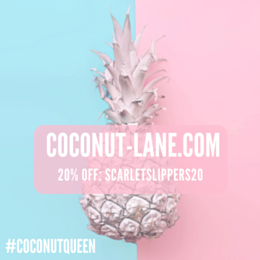 I love all your spring favorites! I want to try out a colored liner too!